It takes a long time to build an audience for a small business. Even if you’re doing everything you’re supposed to, people won’t just start flocking to your blog after just a few months. You first need to prove that you are trustworthy and genuine, and that doesn’t happen overnight. Most small business owners create content and then pray for prospects to find it. Their blogs sit neglected in a corner, gathering digital dust. Savvy business owners are proactive. They reach out to top bloggers in their niche and leverage their audience to build a name for themselves. So, why aren’t more businesses using guest posting to get exposure online and jumpstart their growth? After all, this strategy has been proven to be an excellent way to put your business in front of an established audience, create backlinks and build your site’s authority on Google. The problem with guest posting is that it requires a lot of work to be effective. You can’t just reach out to industry leaders without a clear strategy in mind and hope that they’ll answer your request. Google is targeting low-quality guest posts with increasing perseverance, so most sites have raised their standards. The purpose of this guide is to give you the tools and knowledge you need to make the most out of your guest posting efforts and skyrocket your audience. The content of the blogs you are targeting is relevant to your niche. The audience of the blogs will be interested in your content. The blogs have an engaged audience that shares and comments on articles. The blog owners are active on social media, so you know they’ll promote your content once they publish it. 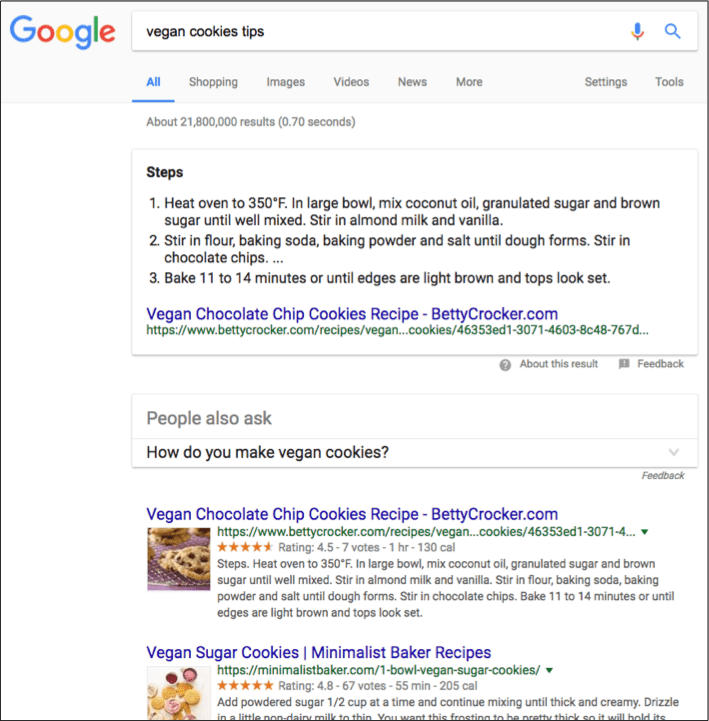 So, if you’re selling vegan cookies, you will want to find vegan cooking blogs with an engaged audience of people interested in health and nutrition. How do you go about finding top bloggers in your niche? First things first, you need to open a Word document, Evernote or just use pen and paper and write down the names of sites and people who come to mind. If you’ve been working in the industry for a while, you should have a list of blogs you read regularly. If nothing comes to mind, then don’t worry – this guide will help you. Go through the list of blogs that appear on the first and second page and write down the ones that look reputable. Ignore the paid ads, SlideShare presentations or the articles from blogs that have nothing to do with your niche. This one, on the other hand, is more of a lifestyle site than a cooking blog so it might not be as relevant. Bear in mind that the more specific your keyword phrases, the more accurate the results will be. We’ve used a generic one just to show you the different types of sites that you should focus on when looking for guest posting opportunities. Work through all of your keywords and note down the sites that seem relevant. 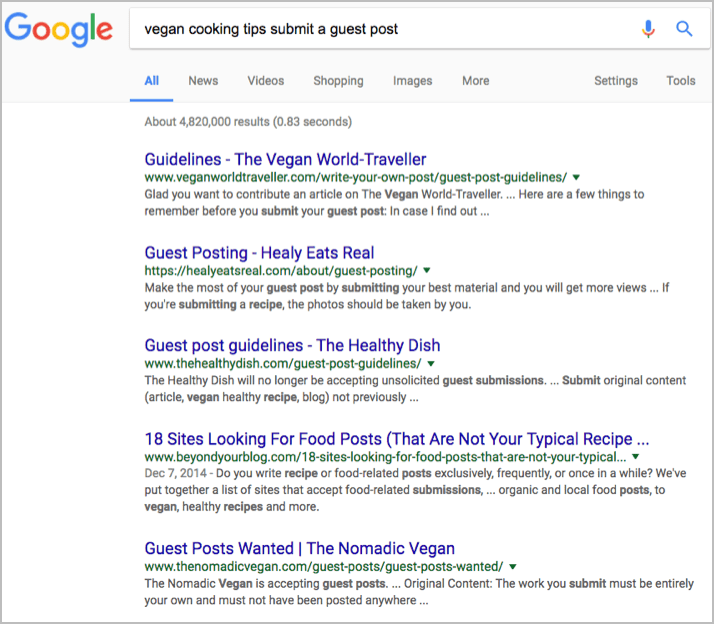 Let’s Google “vegan cooking tips submit a guest post.” You will get the following results. Visit the sites and see if you can contribute with articles. Pay close attention to each site and ensure they care about the quality of the content they post. If you think that one of the bloggers in your list is accepting guest posts just to increase their ad revenue, then skip them. Now that you have your list of top sites and influencers in your niche, the next logical step is to start reaching out to them, right? If you want to use guest blogging as an effective way to build your audience and a successful link building method, then you need to be strategic about how you approach it. Do a bit of research on each blog and gather useful information that could help you prepare your pitch. What is the level of audience they are writing for; beginners, intermediate or advanced? What type of content do they focus on; listicles, infographics, video content, etc.? Wat type of audience are they writing for; consumers or B2B? How do the guest posts perform? Another important step is to look at some of the guest posts published on the sites on your list and see how they perform. Do guest posts get as much interaction as the articles published by the blogger? If the answer is no, then guest posting on that particular site might not get you much traction if your goal is to get traffic back to your site and build your authority. One excellent way to ensure that your guest post won’t be rejected is to pitch topics that do well with the site’s audience. Use Buzzsumo to check what content from a particular site is performing well. Imagine a stranger coming up to you, asking for a significant favor. Would you help them? Most likely you would refuse them. 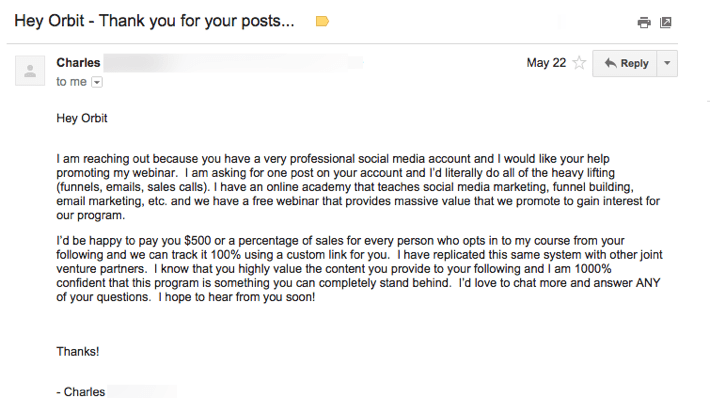 Well, when you send guest blog pitches to influencers in your niche, you are that stranger asking for a favor. Why should they take your request into consideration when they have other pitches in line from people they already know and trust? That’s why it’s important that by the time you send your pitch, you’ve already developed some sorts of relationship with them. Comment on their blogs, share their posts and engage in a conversation with them on social media. That way, when you reach out to them, you won’t be a complete stranger. The last thing you want to do is to reach out to blog owners without reading the guest post guidelines first. That is one of the filters influencers use to determine which pitches they should ignore and which they should take into consideration. Should you submit an idea or the entire article? What format should you use? Read the instructions and follow them closely. Nothing turns off a blogger more than a generic email. Prove that you’ve done your homework and you know at least the basics about their blog and their audience. 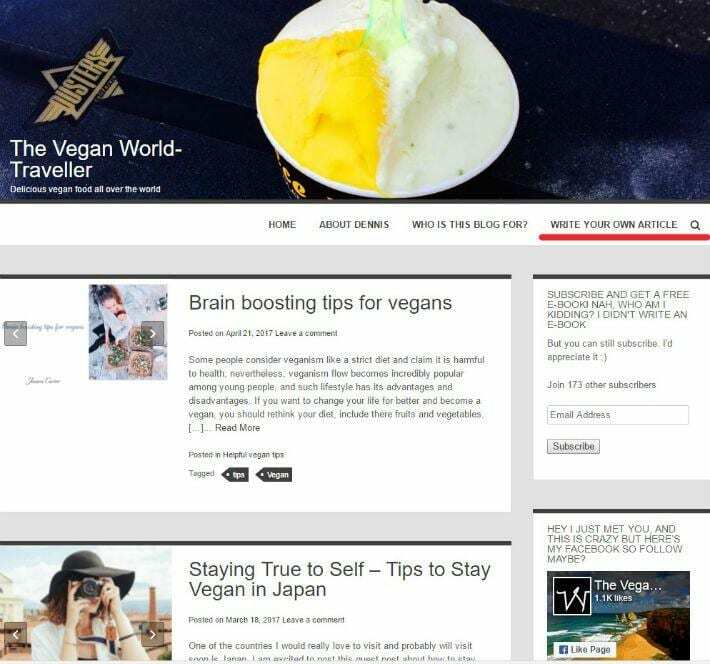 Do a bit of research about the blog owner and see if you can find something you can use to create a connection. Maybe you both love tennis, for example, and you could use this as a way to build a relationship. This kind of adulation won’t make the editors any more likely to accept your submission. At best, it will make them giggle before they hit the delete button. At worst, it will make them throw up in their mouths. Now, that we’ve gotten past the boring but crucial parts, it’s time to submit your guest post. Once again, you need to follow a few rules to maximize your chances of getting accepted. It doesn’t matter if you prefer to create short and concise articles for your blog. If the majority of the content on the site you’re targeting is 2,000+ word posts with lots of images and screen shots, then that’s what you need to create. Remember, guest posting isn’t a way to advertise your business or your products. On the contrary! Your primary goal should be to provide useful information that can help your audience add value to their lives. Any mention of your company or products should be limited and only used if it’s relevant to the content. Analyze the guest posts on your target blog. Do they use a lot of bullet points, images, bolded text, or another special formatting? Ensure that your content has similar formatting elements like other posts on the blog. The author’s bio is the part where you can finally promote your business, so try to make the most of it. Write this section with your goals in mind. It should go without saying that you need to track the results of your guest posting campaign to see what worked and what not and make the necessary adjustments. Your tracking strategy should depend on your goals. Tracking traffic: if the goal of your guest blogging efforts is to get more traffic back to your site, then you should pay attention to the referral section in your Google Analytics. Tracking links: if your goal is to get quality backlinks back to your site, then you can use a tool like Linkody to monitor your links 24/7. Tracking social media exposure: if growing your social media exposure is your goal, then you can use a tool like ShareTally to track the number. As you can see, guest posting isn’t as easy as reaching out to some bloggers and asking them to share your content. It takes a lot of time, hard work and a strategic approach to ensure that once your guest post goes live your efforts will be well worth it. In the end, try to remember that guest blogging can be a two-way street. Be open to guest bloggers and use every opportunity you get to create fresh content. Your audience will surely appreciate it. 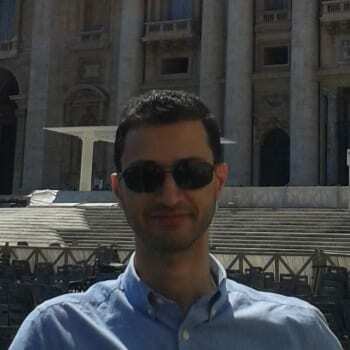 Kostas Chiotis is a blogger outreach specialist and the founder of Iris Signals, a content marketing agency. As an entrepreneur himself, Kostas knows what it takes to grow a business from scratch and increase traffic and sales through the power of content marketing and blogger outreach campaign. Follow him on Linked, Twitter and Facebook. With Guest blogging – and with blogging in general – you have to play the long game.